VANCOUVER — In an effort to guide job seekers to career fields and opportunities that are both high growth and high demand, Workforce Southwest Washington has recently launched the website CareersNW with a focus on the sectors of construction, healthcare, manufacturing and technology. Cass Parker, senior industry initiatives manager for Workforce Southwest Washington, said that CareersNW is a new tool that was developed through a partnership with Workforce Southwest Washington and Workforce boards in Portland and Clackamas. That partnership formed the Columbia Willamette Workforce Collaborative, and from that collaborative CareersNW was born. 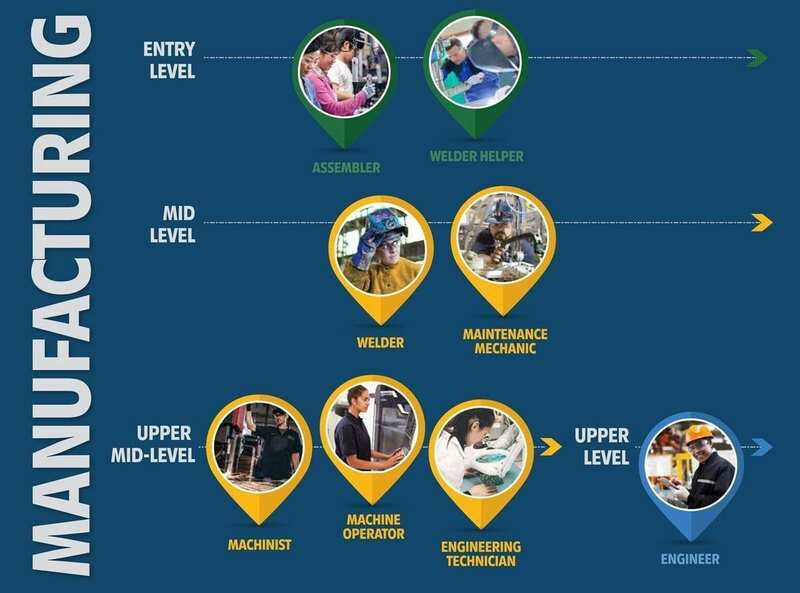 To fully understand the role of CareersNW, the role of Workforce Southwest Washington needs to be understood. Workforce Southwest Washington is a board that is federally regulated and funded by the Department of Labor. It is also funded by various grants, Parker said. Julia Maglione, communications manager for Workforce Southwest Washington, said that once their organization gets federal money, it then distributes that funding locally to fund job training, career education, help connect businesses and job seekers and help companies improve the skills of their existing workers. In Southwest Washington, Workforce oversees several entities that carry out those goals. The most prominent one is WorkSource. WorkSource, Maglione explained, is the actual face of the services Workforce offers. Not only does WorkSource offer job search resources, there are two WorkSource centers, one in Vancouver and one in Kelso, which offer resources, information and training for career seekers. CareersNW serves as a new tool for WorkSource to help job seekers find lasting, good paying careers. It is designed to provide a “one stop place for folks to do career exploration,” Parker said. It also connects job seekers to resources available at WorkSource centers. CareersNW focuses on four high growth, high demand sectors, that are intended to help keep up to date with industry developments. “We really need to be cognizant of what are our employers’ needs, what are the jobseekers’ needs, and how can we best match them through the training and services offered,” Parker explained. While the website itself launched late last year, Workforce Southwest Washington has been doing work and research in the sectors for at least 8 years, Parker said. The four sectors covered by CareersNW — construction, healthcare, manufacturing and technology — are based on data that shows which industries have a high demand for jobs and a large capacity for job growth. Parker said that job data is not the only determining factor for Workforce when choosing what industries to focus on, however. Data can be inaccurate and is often from a year or two prior, and so once Workforce has analyzed data, representatives talk to industry professionals to determine if the data trends are reflective of current industry conditions. “We want the workforce development that we’re doing to be driven by industry,” Maglione said. She said that her organization wants to train people for jobs that are needed and in demand. Also, Parker said that CareersNW is designed to provide information that helps people find family wage jobs with growth potential. It is not intended to help someone simply find a job that is either not going to be around long or does not have growth opportunities. Currently, the four industries covered by CareersNW offer large amounts of potential to job seekers, Parker said. There is a high demand for younger workers, especially as the Baby Boomer generation retires. In Clark County and surrounding areas, there has been an identifiable need for workers in the four sectors. “I think there’s no end in sight for any of these four industries as far as growth potential right now,” Parker said. CareersNW provides in depth information about each of the four industry sectors it covers. It provides information about jobs in those industries, which Parker said is helpful because it can lead someone to pursue a career path they did not consider or did not know even existed. Additionally, the website provides information about careers such as average salaries, the education or training required, and the characteristics of someone that fills a given position. CareersNW also has sections that highlight what a day in the life a particular career looks like. It also provides links to companies in Oregon and Southwest Washington that provide work in the four industry sectors and potentially have job openings. As a career resource website, CareersNW also boasts a section devoted to training opportunities offered locally that pertain to the four industries, including sessions offered at local WorkSource centers. More information about local career opportunities can be found online on the CareersNW website at https://careersnw.org/.